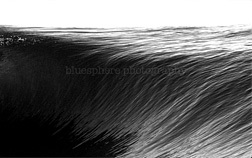 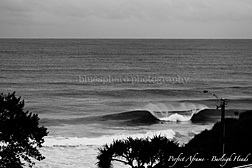 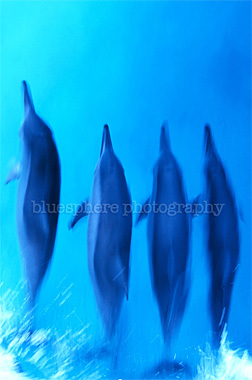 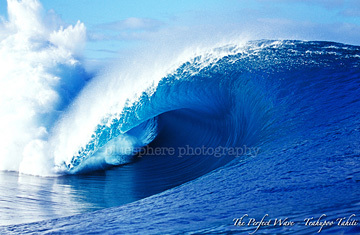 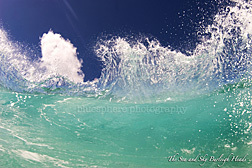 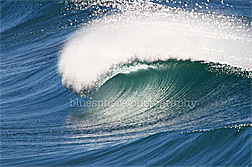 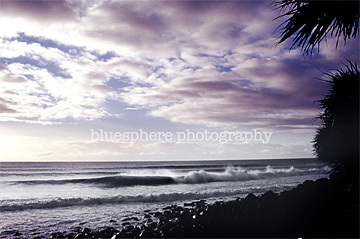 My photographic work of the vast Ocean blue steps away from commercial surf photography. 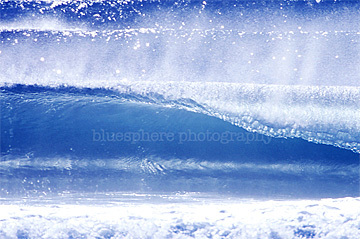 Growing up on a yacht sailing around the world profoundly connected me to the Sea, giving me saltwater in my veins. 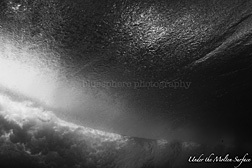 I have always felt a strong affinity and passionate love for the Ocean, of the beauty and freedom that the Ocean so inspires… This ties in to my love of photography, having received my first camera when I was two years old and while growing up, being inspired by my dad, an avid amateur cameraman. 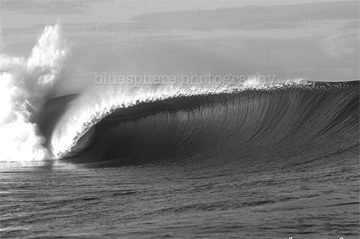 I began surfing at thirteen but at sixteen was injured with a spinal injury in a car accident and had to learn how to walk and surf again. 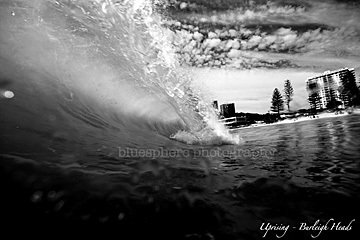 Surf and ocean photography for me is a way to connect to the ocean through a unique vision. 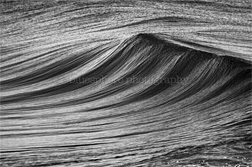 Photographing the Ocean over the past eight years has shown me the energetic flow of the Ocean waves as the water moves and breaks, and has taught me to see and describe in my imagery, through the camera eye, the form and texture, the importance of light, the pivotal moment, that balance of movement and the space in-between… A space of stillness, of an in-breath and an out-breath. 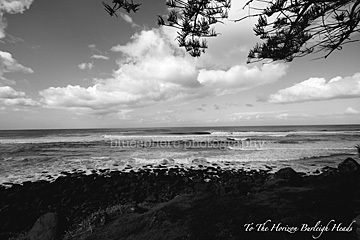 This transcribes into other areas of my photographic work, such as portrait, band and 'fashion' photography - the awareness of that balance of moments, energy, form and light.